We have 2 kids: a princess lover and a nerdy kid. 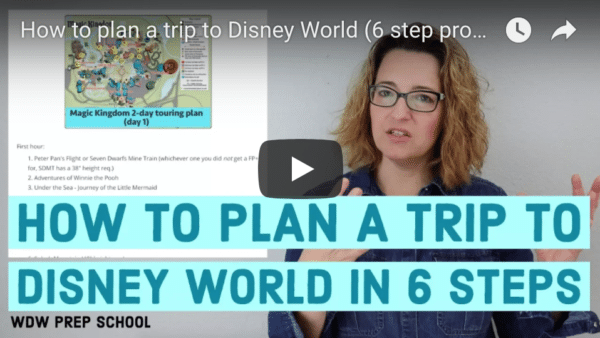 Since I've already written a trip plan for princesses, this one is for the geeky types. My teen son (affectionately called "Nerd Boy") is a kid who loves programming, robots, physics and math. He's been visiting since he was 3 and he helped me with this trip plan because he has great ideas and I like hearing his perspective. Now, on to the geeky stuff. 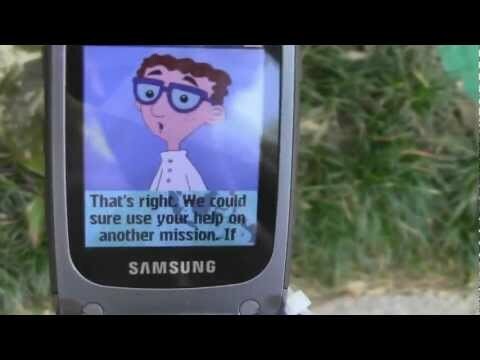 While you're waiting for your trip to begin (which can seem like an agonizingly long time, geek or non-geek), there are some geeky things you can do to prepare. The Science of Disney Imagineering DVD Series has 11 different DVDs covering various scientific topics. 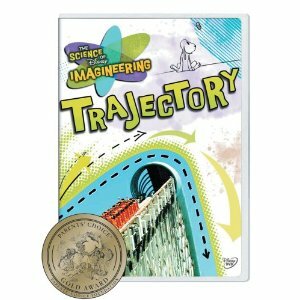 A real life Imagineer named Asa hosts each DVD (we feel like he's a member of the family now) on topics like gravity, Newton's 3 laws of motion, energy, trajectory, design & models, levers & pulleys (my son's favorite topic), magnetism, friction, fluids, animal communication and electricity. You can preview the whole series online before buying. Nerd Boy suggests reading the Kingdom Keeper Series of books which are fiction stories that take place in the Disney theme parks. They are targeted toward middle school and high schoolers but smart, geeky kids can handle it earlier (my son read a few of them in 3rd grade). It's a good idea to have some park maps handy to follow along with the story a little easier. 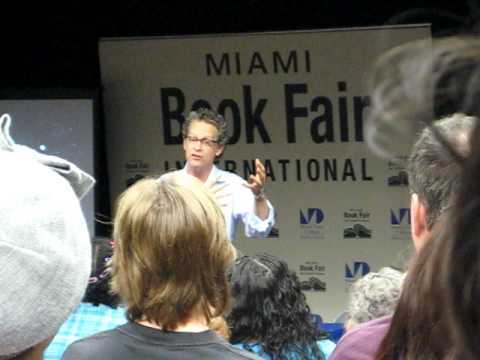 Here's the author, Ridley Pearson, talking about the It's a Small World scene that takes place in the 1st book and is Nerd Boy's and my favorite scene (it's hilarious, terrifying and you'll never look at this ride the same again). Youth groups can do a self-guided Kingdom Keepers Quest offered by Disney Youth Programs that will take through Magic Kingdom. Groups need to have 10 or more people. The tour is written for 5th-9th graders. I thought the choice of the geekiest place to stay on-site at Disney World was pretty clear but then Nerd Boy had a different opinion (and a good explanation to back it up). I think the best place for a geek to stay on-site is The Contemporary Resort. 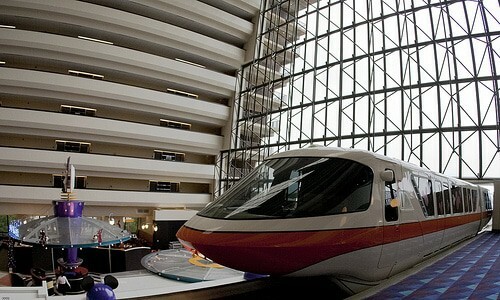 With the monorail running right through the middle of the building, it seemed like an obvious choice to me. There's also the benefit of having Chef Mickey's on site (fun character meal w/classic Disney characters) and the ability to walk to Magic Kingdom which make it a good spot to be. Nerd Boy suggests staying at The Beach Club in the Boardwalk area. 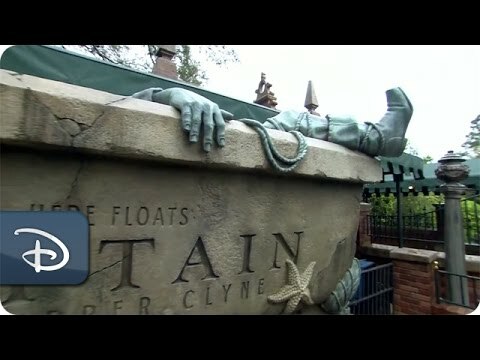 Is it the seaside cottage theming that appeals to him? Nope. Is it the best on-site pool that he loves? Not that either (in fact, he hates sand). It's the 5 minute walk to Epcot, his favorite theme park. 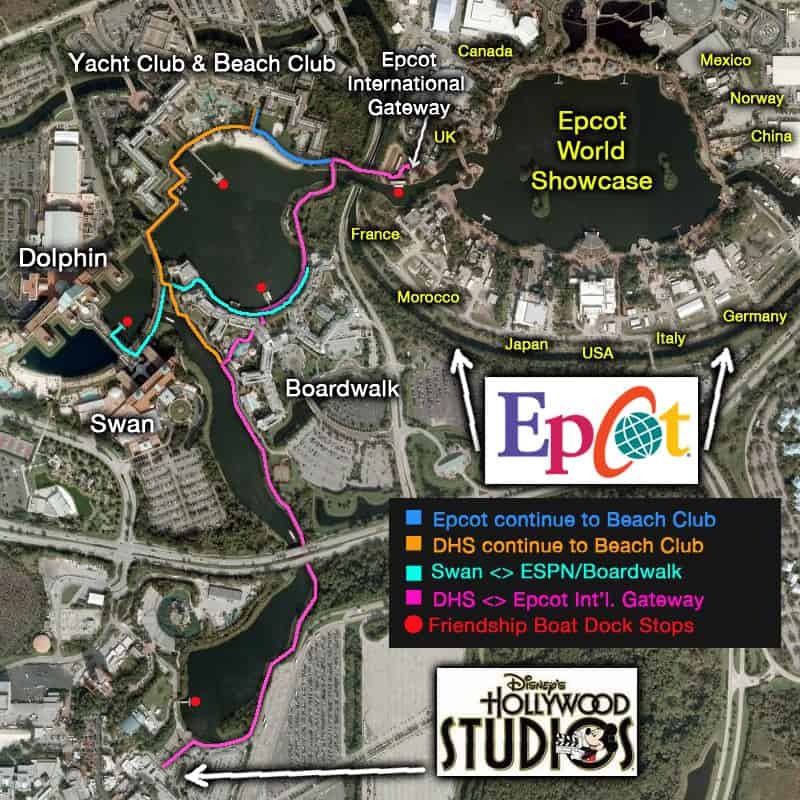 Here's the aerial map that shows the location of the Beach Club and how close it is to Epcot (via the International Gateway, which is a special entrance in the World Showcase section just for guests entering from the Boardwalk area). I asked Nerd Boy his thoughts on Magic Kingdom and he said "Tomorrowland!" The whole area is futuristic looking (hence the name, I guess). Haunted Mansion - the interactive queue is fun. Really. Sorcerers of the Magic Kingdom - this is a game where participants get a special map along with a special card that activates game screens and tracks progress. Learn more about the game play in this overview. Be sure to check these things out. Soarin' - the most popular Epcot attraction that everybody should ride. The mechanics of it are really interesting. 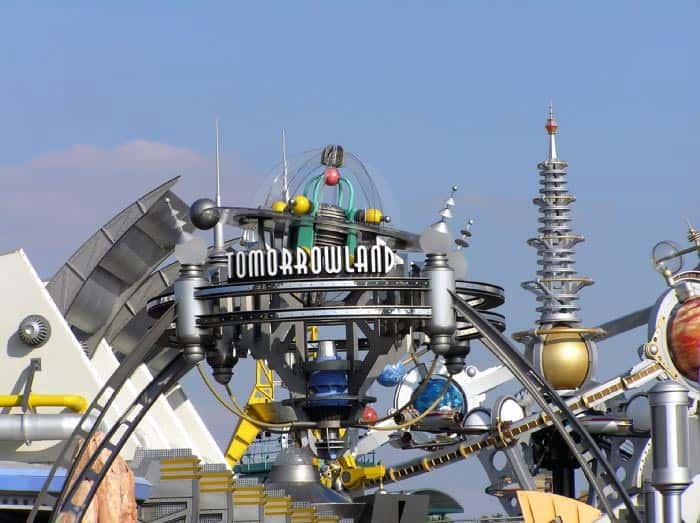 If you watch the "Levers and Pulleys" DVD from the Science of Imagineering DVD series mentioned above, you'll learn that the design was first created using an Erector set. Star-Wars-loving geeks will flock to Hollywood Studios for Star Wars attractions - Star Tours, Star Wars Launch Bay, Jedi Training Academy (sign up early!) and Star Wars fireworks. Confession: Nerd Boy and I aren't big Star Wars fans but I'd be remiss if I left it out of a geek post. Please don't take away our geek cards. K, thx. 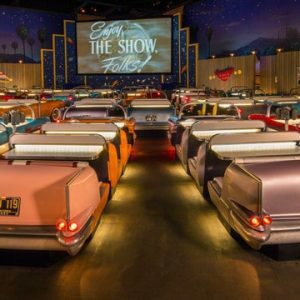 Nerd Boy's favorite geek thing at Hollywood Studios is the Sci-Fi Diner which is a unique dining experience. Do it. You'll like it. 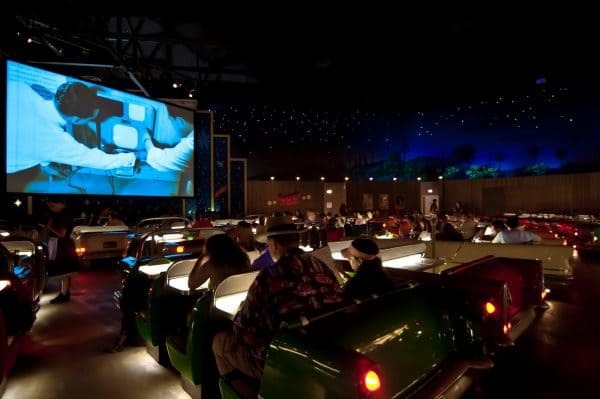 Outside of that, I'm not sure there are many attractions with a geek focus though most visitors will benefit from the general Hollywood Studios touring plan. When asked about Animal Kingdom, Nerd Boy said "welll....I guess if they're animal geeks, they'll love it but everybody should ride the Safari ride and Expedition Everest." There are a few other things that a lot of geeks will love. Youth Education Series classes - Class topics include physics, production arts, wildlife, marine biology and a lot of other things as well. Disney World tours - there are a variety of tours available from Segway tours to a steam train tour to a backstage safari. A lot of these tours appeal to geeky types. Read the tour list plus reviews at AllEars. Dine with an Imagineer - you can have a dining experience with an Imagineer (you probably figured that out from the name) in 1 of 2 restaurants at Disney World. This is recommended for ages 14+. Read all about the experience at AllEars.